So your little boy wants to be a pirate when he grows up. I'm sure he'd love a Pirate theme to his next birthday party. 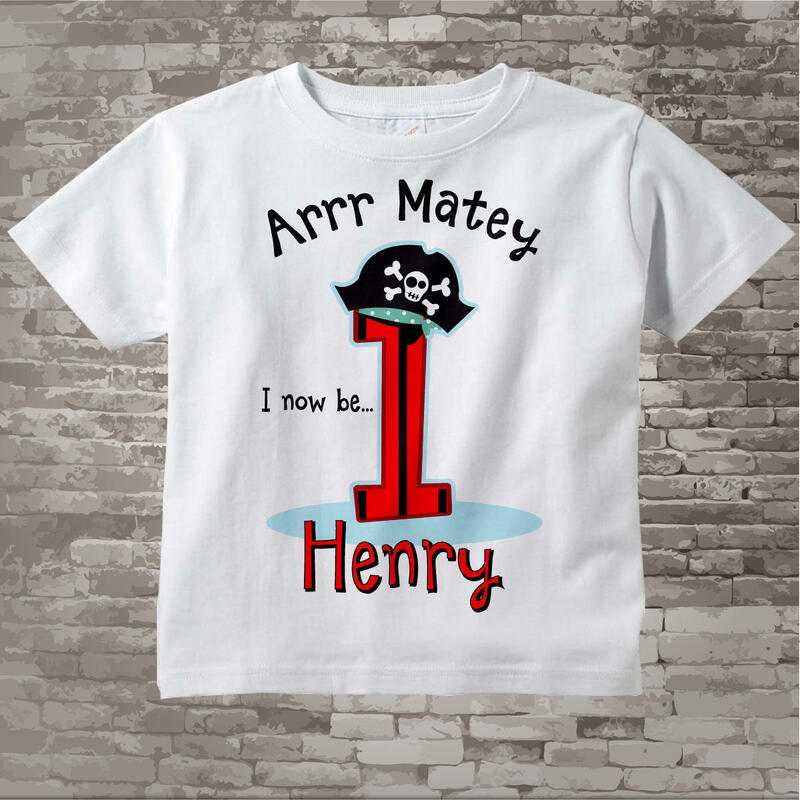 So what's better than his own personalized tee shirt to wear to his birthday party, and the whole year long after that? Complete with a pirate themed big number 1 with a pirate hat. 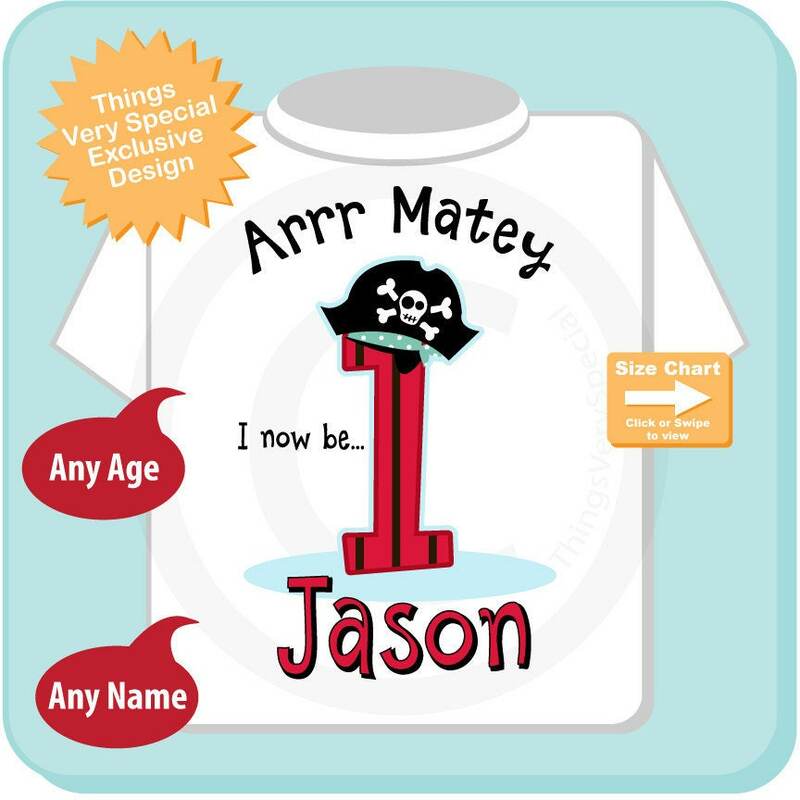 Along with all of that it will say "Arrrr Matey, I Now Be 1". Or whatever age he will be will be substituted for 1. Sizes runs a little smaller. The size runs a little smaller otherwise my son looks really adorable with it! Cute product but it runs small.